I have to use Geforce Now to play DayZ as i also run a server on my main computer and seeing as i only have 8GB of RAM in my PC i have to use Geforce Now to play the game. 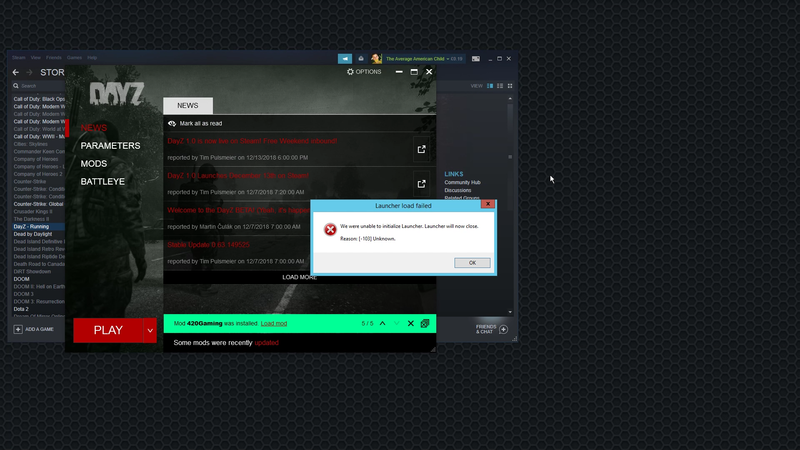 Today i decided to subscribe to a mod on the Steam Workshop and then i realized i would need to use the new DayZ launcher in order to get it to run with the game but when i ran it the Launcher opened but gave me an error after it opened the error was Error -103 Unknown. The_Chicken changed Operating System Version from Operating System is Actually Windows Server 2012 to Operating System is Actually Windows Server 2012 couldn't select it on the operating system list. One more thing this also effects ARMA 3 as well. 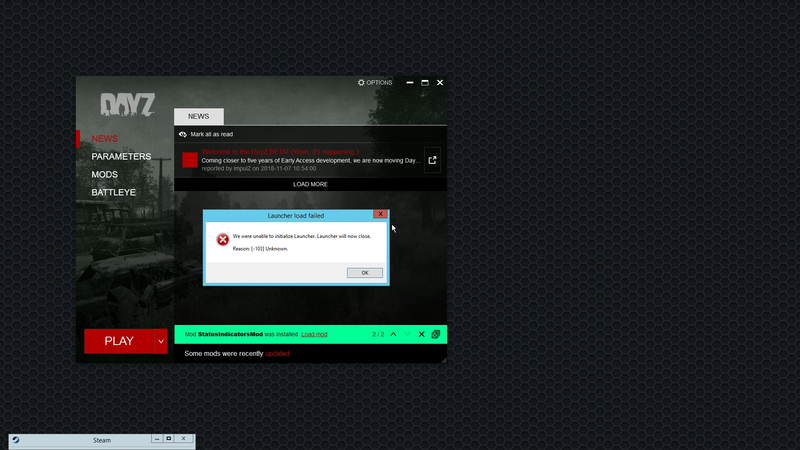 However this prevents ARMA 3 from loading completely. Hi! 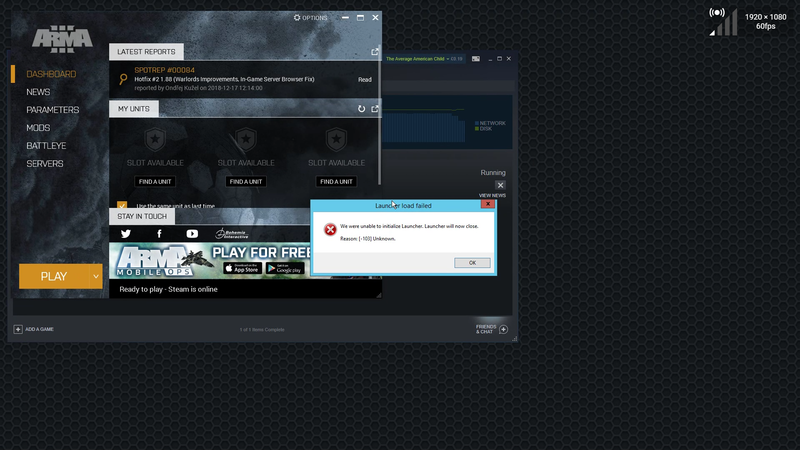 I have the same issue (error 103 unknown) when using the launcher but directly in steam or using the exe (I don't use geforce now). Do I create a new ticket or do I submit my logs here ? You're welcome, tell me if you need more informations or logs or whatever.